This EVIDENCE presented is a conspiracy theorists delight namely Nibiru by Priest Tommy Cavin of the Ecumenical Order of Christ. This order is a cult associated with False FAKEBOOK Prophets Raymond Lear, Angelus Domini / Alan Douglas, Richard Ruff and Samantha Kennedy whom fleece their online congregation of their souls and money and to keep them more than comfortable in their freeloading lifestyle. Example of this lifestyle is highlighted here. Also Richard Ruff’s Holiday to Baja, Mexico in May travelling from Australia was funded by begging online. A week before his travels he announced he was MOSES reincarnated. 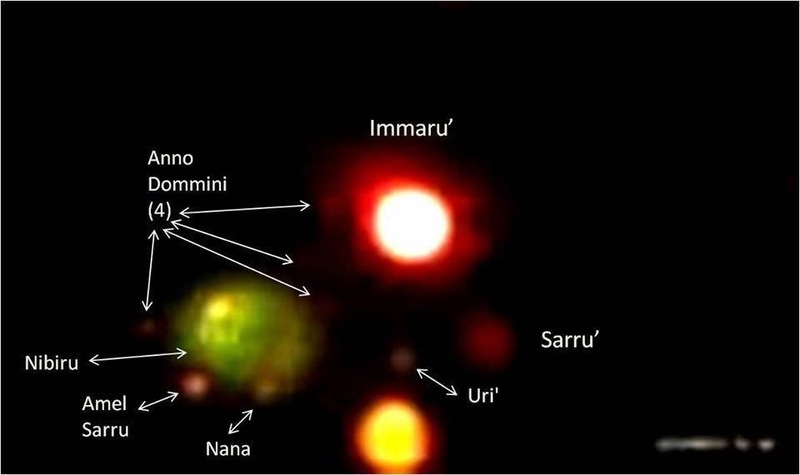 So this is the science and evidence that Nibiru is in our solar system. 1. What is the source and providence of this picture? 3. How does Tommy Cavin know that this picture is of “Nibiru”? According to the teachings of Lerael – another failed alias of Lord RayEL this planet was going to annihilate mankind back in 2012. Link to Lerael here – same website and evidence suggests that this is the same scammer Angelus Domini who owned the site. Angelus Domini / Alan Douglas is “Lord RayEL’s” Imperial Regent. However, False Prophets Exposed has shown clear evidence that this character is one. We will await with bated breath Priest Tommy Cavins scientific reply. In the congregation he posted Joe Montes You Tube video as further evidence. But as we know only too well if you question logically you are called a troll. Sneak peak of Montes Hilarious video of a lens flare which he stated was Nibiru. This is the same Archbishop that has been sent on a diplomatic mission to Israel to meet ? To tell them that Raymond Lear is the returned Christ/moshiach who is another lens flare. SO… Come on Tommy will you spill the beans regarding this picture or are you just sharing social media hype again. Looking forward to your scientific analysis.